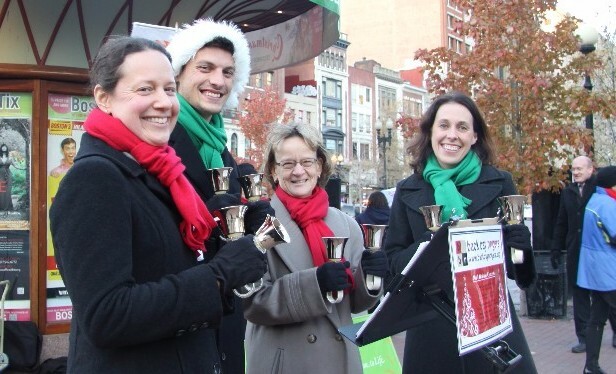 Back Bay Ringers – Happy Holidays from BBR! This season BBR will be playing holiday quartets all over the Boston area. Go to our website to learn how to hire BBR. you can help BBR when you shop with Amazon.com? Go to www.AmazonSmile.com, log on, and identify Back Bay Ringers as your charity of choice. Shop as usual, and BBR will receive a percentage of your purchase! In addition to our five octave set of Malmark Handbells, BBR is lucky to own a three octave set of Whitechapel Handbells. 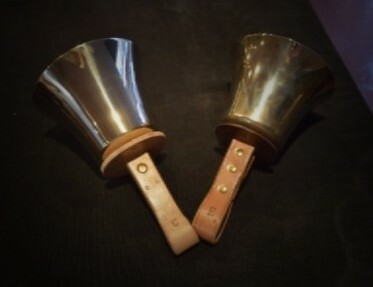 The history of these bells begins in Whitechapel, London, the birthplace of bell ringing. BBR uses the mellow tone of the Whitechapels to highlight certain musical lines. This year’s holiday concert features lively arrangements of traditional holiday favorites including “I Saw Three Ships” and “Ukrainian Bell Carol.” Plan for plenty of sleigh bells and warm winter wishes! For more information and to purchase tickets, please visit our events page.